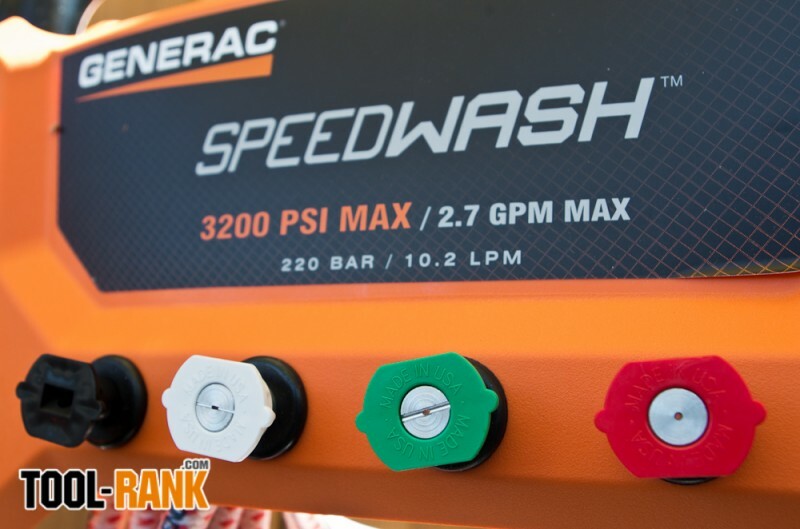 All too often the excitement of using a new power tool is quickly overshadowed by tedious assembly and setup procedures, but out-of-the-box, the Generac 7122 Speedwash System is just a few easy steps from pulling the starting cord. 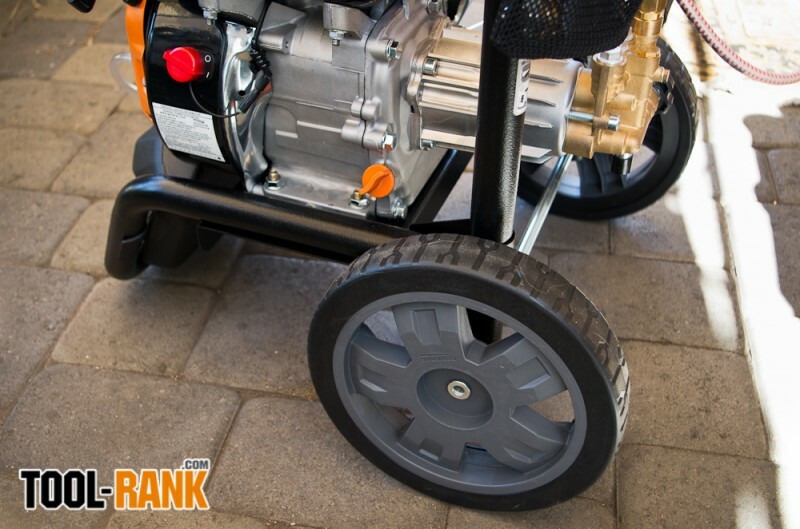 Slide and lock the handle in place; attach the hose, hose hook and spray gun; and the well balanced tube-steel frame is ready to roll on large 10” wheels. Of course, don’t forget the oil (included) and gas. I found a lot to like about this machine. Though it weighs in at a little over 60 lbs, I had no problem wheeling it around; but with a long 30’ flexible polyurethane hose you shouldn’t have to move that often. And with a low center of gravity, it can rest in place without fear of it tipping over. 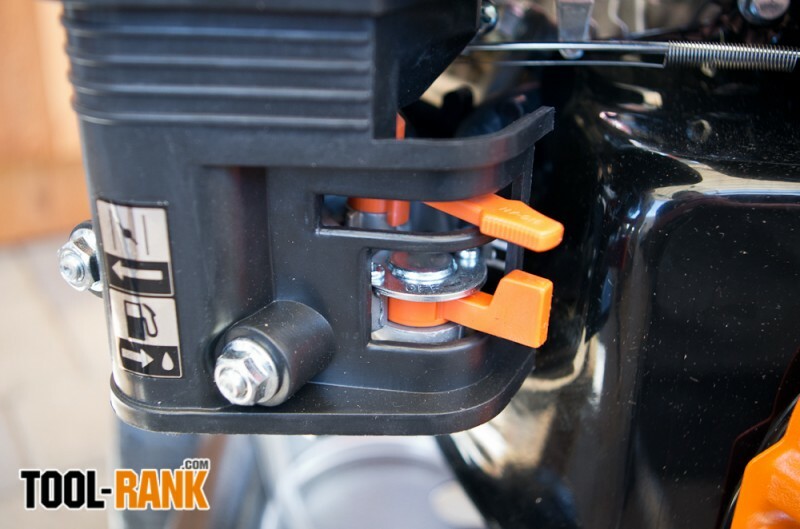 Once in place, however, any gasoline powered machine is only any good if you can get it started and keep it running. I can report that this machine does just that and easily. 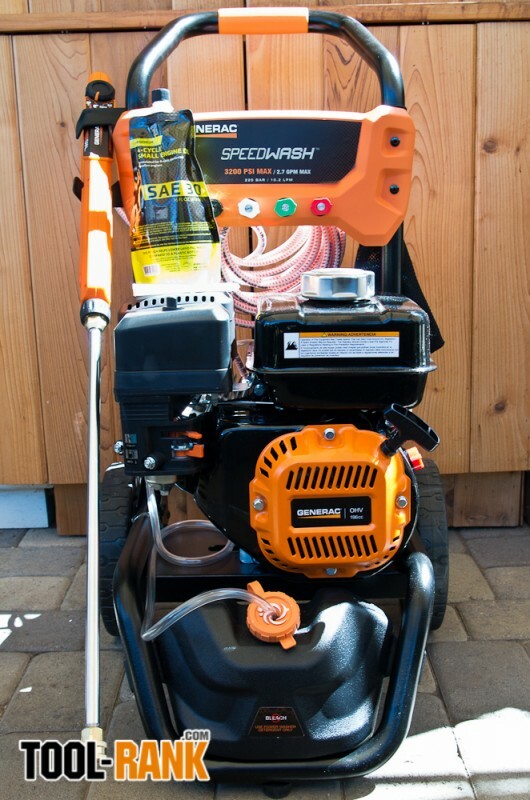 This pressure washer has POWER! 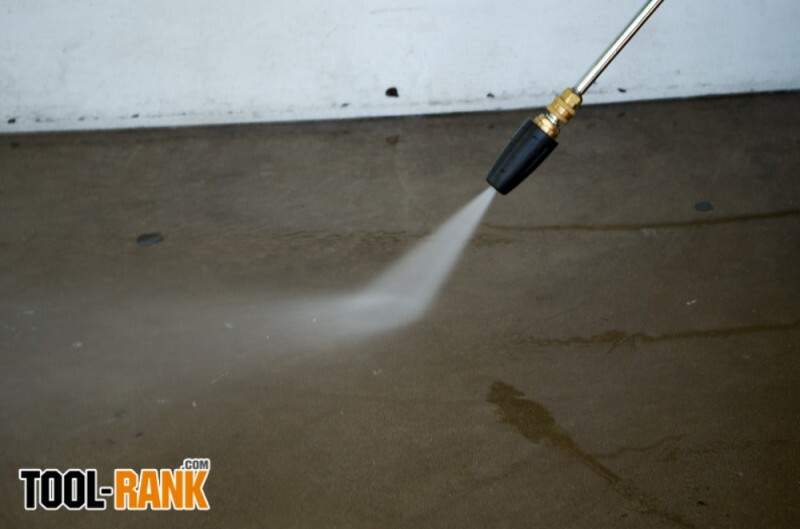 3200 psi is something to respect, but with the Power Dial Gun and the appropriate spray tip, any cleaning job can be done with care. 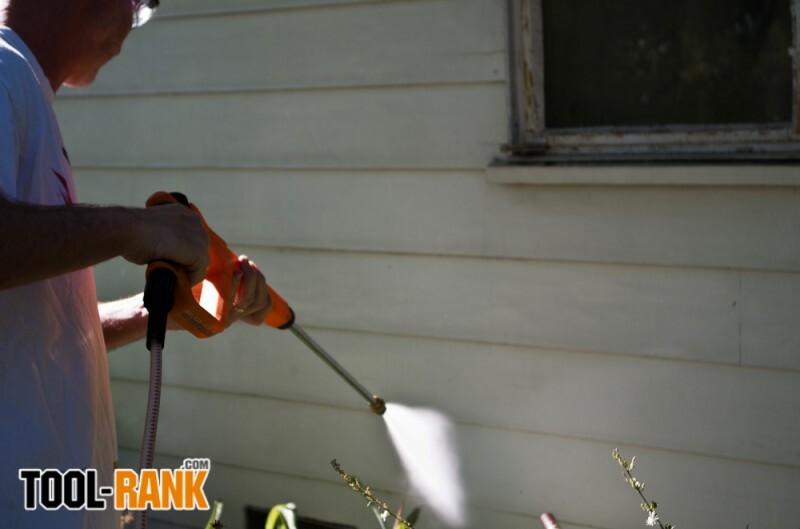 The spray gun has an inverted trigger making it easier to squeeze and hold than a typical sprayer where your weaker pinky finger does much of the movement. 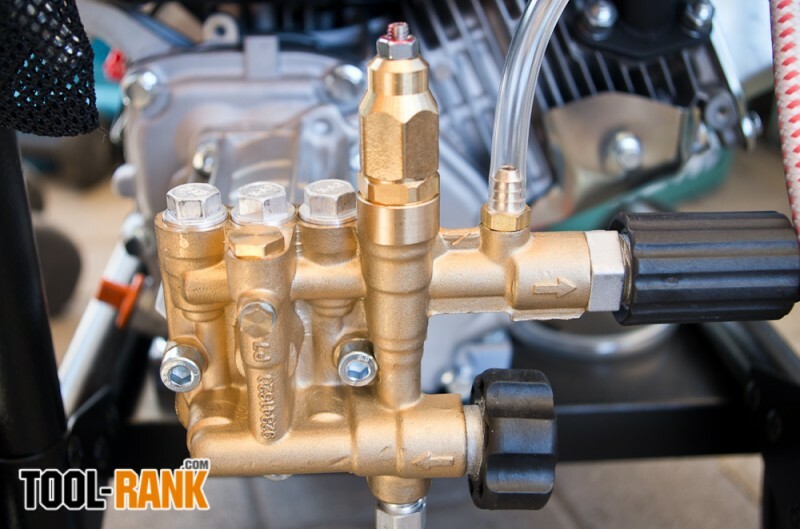 The internal valve, however, requires very little squeeze pressure to open, and it closes quickly when released without any leakage. Considering maximum velocity, it’s a good thing it shuts off with such precision. 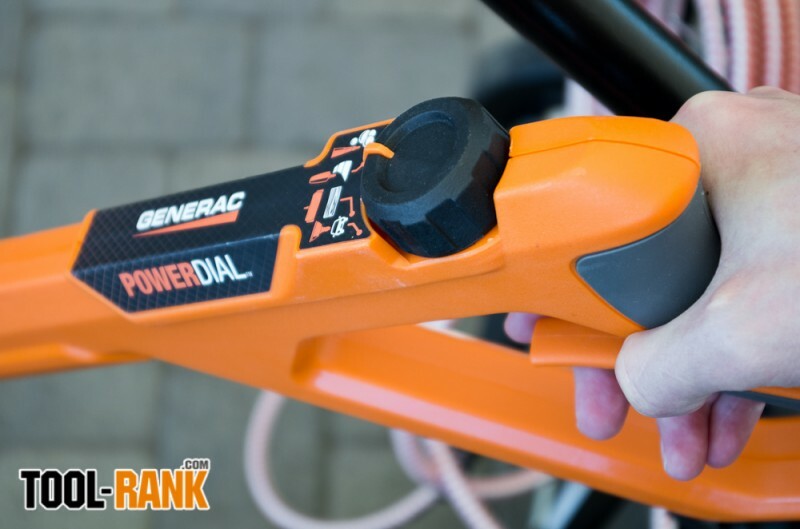 The gun itself has four settings: One for light duty cleaning, say for your car; another for medium pressure like decks and siding; and the maximum setting would be used for hard surfaces like concrete. 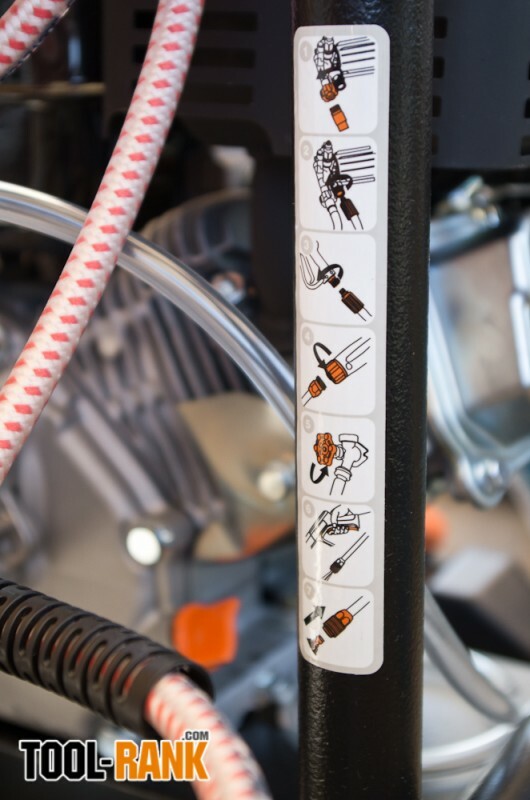 Pair the settings with the variety of spray tips and tools and you have a full range of cleaning options. The fourth setting is for applying soap. 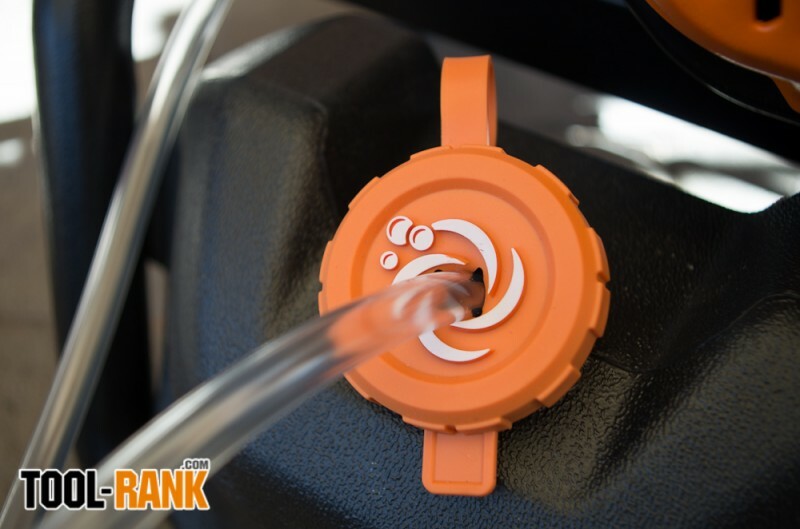 This setting activates the siphon, drawing your cleaning solution from the half gallon tank. We used this setting with the recommended Soap Blaster tip to apply a nice steady flow of detergent. 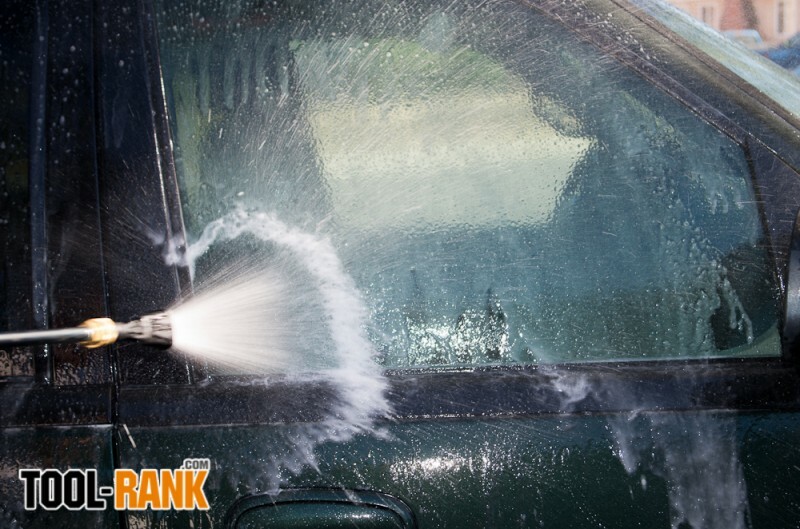 You have to spray on your soap first, then switch to the appropriate cleaning tip and setting for the job. So, in essence, you lay down a layer of foam then scrub with the pressure of water alone. You can’t use high pressure and apply soap at the same time. We began by filling the soap tank completely full with solution and noticed that even after applying a liberal amount of soap lather the holding tank was still pretty full. I consider it a little odd sounding, but I recently read a professional review of pressure washers in general where, for safety concerns, they recommend that users discard the 0-degree nozzle tip if the product comes so equipped. (I wonder if their review of table saws would have you toss out saw blades if they’re sharp.) 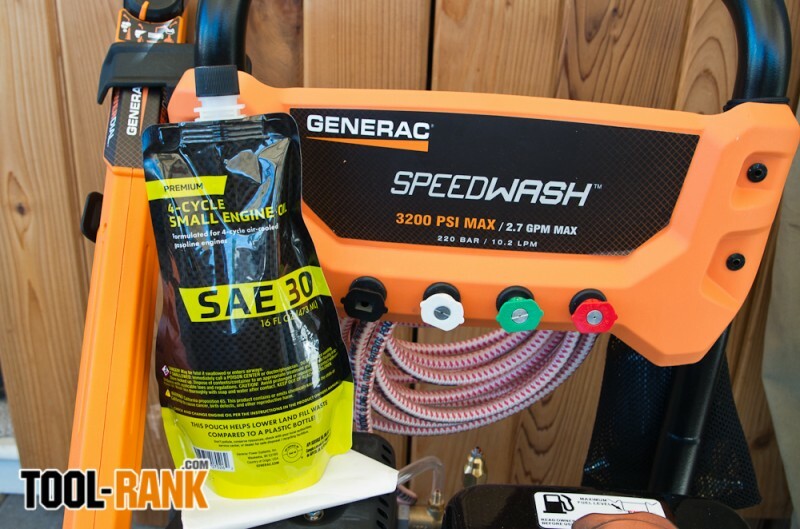 The Generac Speedwash System does come with all the options, so needless to say, but I’ll say it anyway, maximum pressure with a stream nozzle has the power to etch concrete, and no doubt pierce flesh--be careful! 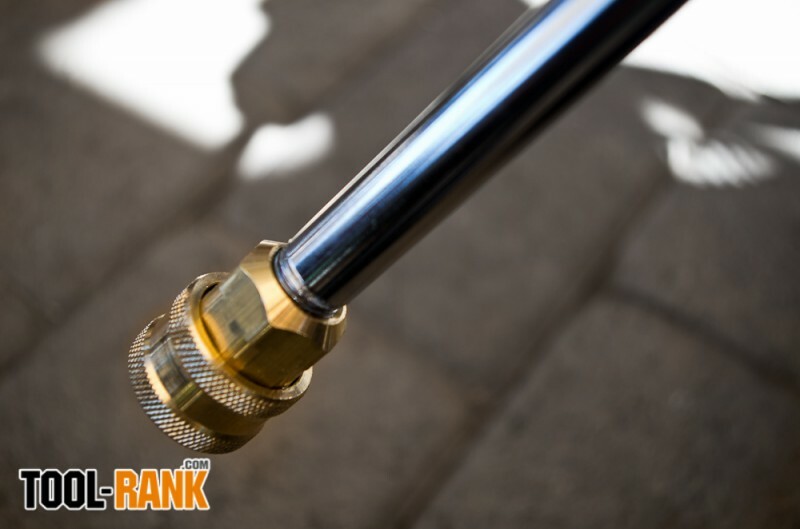 Perhaps a little safer to use, the Turbo Nozzle utilizes a rotating high-pressure jet which keeps all that power in constant motion. It can still etch concrete if you’re not careful, but at least it will do it in a wider pattern. The 25 and 40-degree tips produce a very even fan spray, perfect for stucco, siding and decks; and probably most suited for most projects. The spray nozzles quick-connect to the gun wand, and with a little practice can be done with one hand. 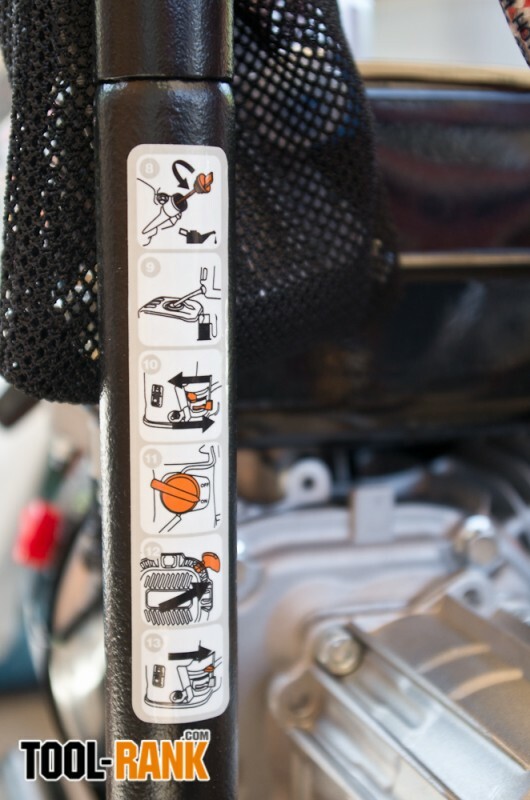 Just be sure the engine is off and you release any back pressure. We found that no matter which setting or nozzle tip used, the spray was delivered with a consistent and steady flow rate. 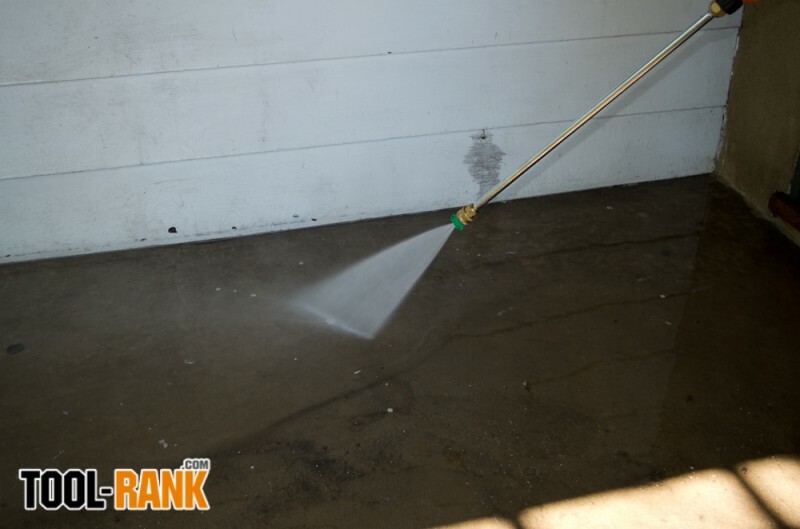 One attachment we weren't able to test out yet was the power broom, which features four spray heads mounted in a row attached to a wheeled base. 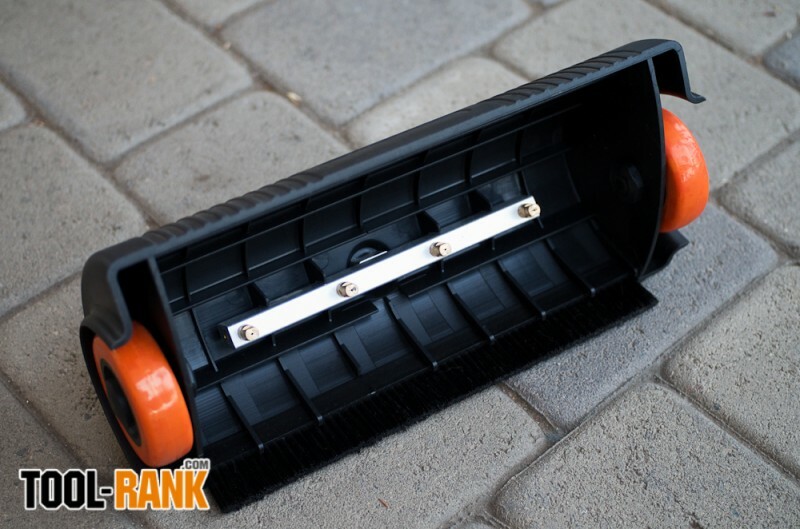 It is designed to be a faster way to clean flat surfaces like decks, sidewalks, a patio, or driveway. 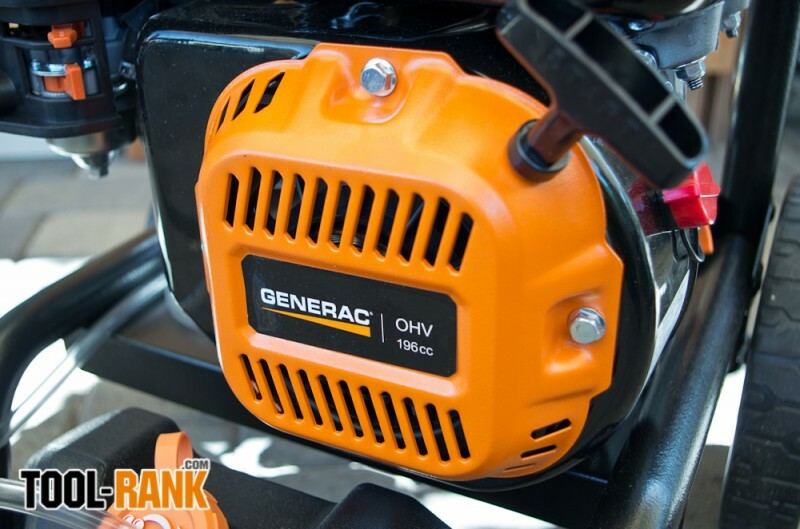 Other things to mention about the Generac SpeedWash pressure washer: The gas cap is metal, not plastic; it’s large, easy to grip and locks down firmly. The 30’ hose threads onto the pump and to the spray gun, and it won’t kink. The frame structure holds a hose hook to better manage the hose length, and there is a holster for the gun. Also equipped is a nice holder to display and easily access the nozzle tips. After mentioning so many pros about this model, this is typically where in my reviews I caution about the cons; and so as to not disappoint the reader, I should mention that the quick-connect collar at the lance tip (female) doesn’t spring lock on the nozzle (male). After pulling back the collar and inserting the nozzle, you will find that you have to push the collar forward to lock in the nozzle. 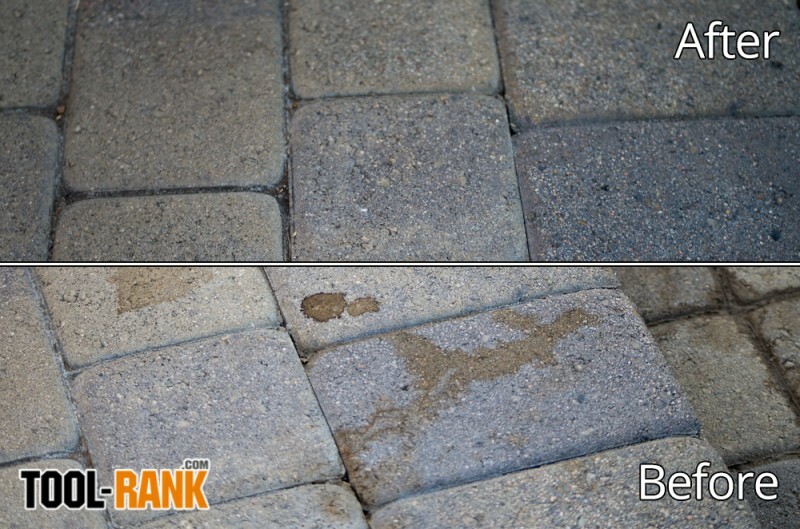 But that one thing aside, we were thoroughly impressed with everything about this power washer. 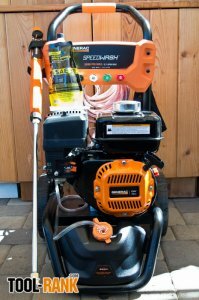 With all that is included, plus a few "bonus" attachments; like the turbo nozzle, soap blaster, and power broom, you actually get quite a lot for the price of $450. As of writing this, it is on sale from Generac online for only $405 with free shipping. 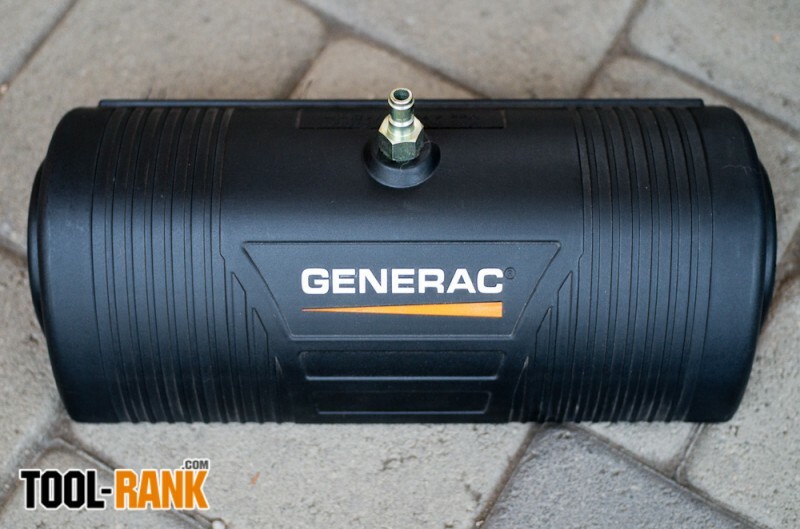 Generac supplied this tool for review with no conditions and no payment.